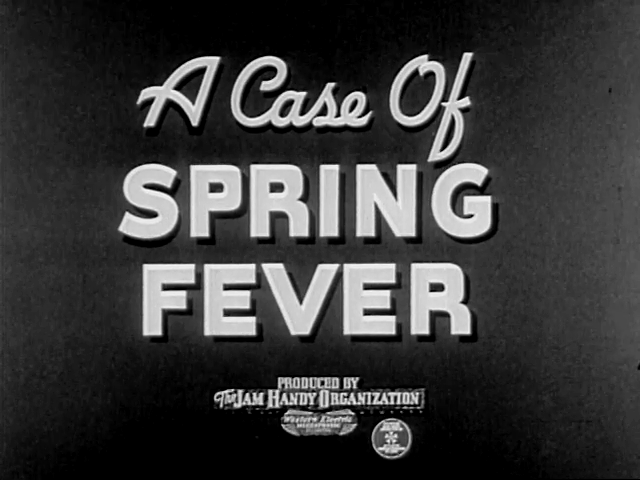 A Case of Spring Fever was an entry in a film advertising program the iconic Jam Handy Organization was producing for the Chevrolet Sales Division of General Motors Corporation, entitled the Direct Mass Selling Program. The program, in use from 1935 until 1942, was the first and only of it’s kind and utilized a variety of one reel and two reel short subject formats to advertise Chevrolet Sudans to the general public. While the crown jewels of the program were the documentary short subjects (several of which were right on par if not better than many Hollywood documentary shorts such as M-G-M’s Pete Smith Specialty series) the program was also composed of several narrative shorts, a series of novelty newsreels “The Chevrolet Leader News”, and a series of Technicolor cartoons. Unlike many advertising films of the era, the Direct Mass Selling films utilized a subliminal advertising method to advertise the cars, as at no point in many of the films is the name Chevrolet mentioned by the film narrator or characters and advertising was kept extremely minimum in visuals; Any form of product pitch or comparison to other car brands is absent. Subject matter of the films dealt with common interest topics, public safety, driving techniques, how various parts of an automobile work, how the features of a car add to comfort, or how an automobile contributes to everyday lives and even saves the day. Two of the series that were part of the Direct Mass Selling Program: The “Chevrolet Leader News” novelty newsreel series and the “Nicky Nome” Technicolor cartoon series which evolved out of one shot Cinderella themed cartoons. Exhibition of these films usually occurred at non-theatrical events, in places such as community clubs (i.e. rotary club events), at school assemblies in school auditoriums or gymnasiums, factory cafeterias, etc. and occasional theatrical showings at movie theatres. Non-theatrical screenings would have highlighted the selected Direct Mass Selling short film as the main attraction of an event, while theatrical screenings would have incorporated the film as a selected short subject into a theatre program. All of the non-theatrical screenings, and some of the theatrical screenings, were planned and booked by a local Chevrolet dealer in a community and distributed to various venues by the Jam Handy Organization; For non-theatrical exhibitions in venues that were without 35mm projection booths (i.e. such as a dining room or gymnasium), Jam Handy would send out a 35mm ‘suitcase projectionist’ to exhibit the film. In addition to theatrical screenings the Direct Mass Selling films also received mainstream distribution by Audio-Cinema Incorporated (from 1935 and into 1937) and later Monogram Pictures (from 1937 through 1942), allowing interested cinemas to book the films without having to go through a Chevrolet Dealer. 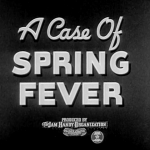 The title card to “A Case Of Spring Fever”. 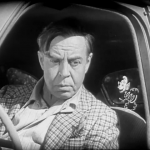 By 1940, the Jam Handy Organization stopped crediting the Chevrolet as the presenters as a way to make the films more subliminal in advertising nature. Not being able to drive his Chevrolet, Gilbert finally apologizes to Coily. The film A Case Of Spring Fever can be broken down into several different parts that educate viewers on how springs contribute to everyday lives and automobiles. The first two and a half minutes of the production in which spring-frustrated Gilbert is cursed by Coily the animated spring sprite, demonstrates to viewers how springs contribute to all kinds of contraptions found around the home. The next minute of the film does the same again only now shows how springs are everywhere in a Chevrolet and allows it to function. (It’s during this automobile based sequence, not while in the home, that Gilbert finally can’t take it anymore and apologizes to Coily.) During the golf game following Gilbert’s spring-less nightmare, Gilbert annoys (and probably loses) his friends by sharing his knowledge on the importance of springs, mainly with how they are essential to the game of golf (allowing him to win) and also operate as shock absorbers in airplanes that fly over the golf course. 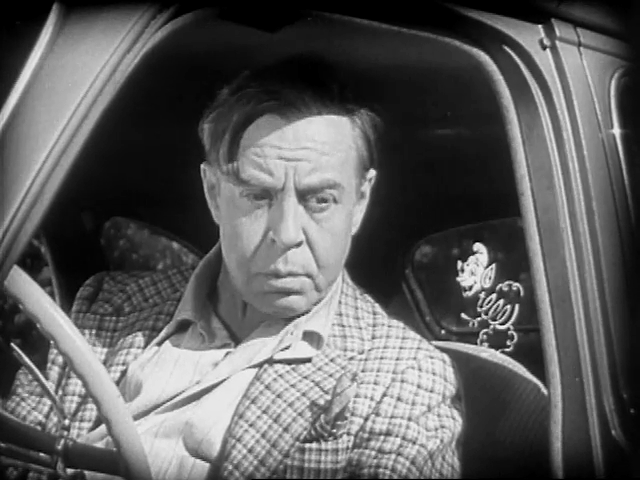 The final sequence of the film in which Gilbert drives his annoyed (former) friends home in his Chevy, who all fall asleep to get even with him, is done to demonstrate the comfort spring shock absorbers provide to a car. In terms of who was responsible for bringing the film to life is kind of a mystery due to the lack of credits on the film. Very often, due to the presence of the Jam Handy Organization’s logo on the opening title card, Jamison Handy has been mis-credited by many as the complete brains behind the film; Technically Jamison Handy himself is not even credited here as the logo is solely a credit for the company, the Jam Handy Organization Inc. While Mr. Handy was certainly the executive producer of the film, his overall involvement with the production was much smaller than assumed by many. The Jam Handy Organization was not a one man operation, as it was a very large company that employed hundreds of people and was for several decades the largest and most ambitious film studio located outside either Hollywood or New York City. The writing, shooting, editing, animation, etc. of A Case Of Spring Fever was all done by different people employed by the company, several of whom were extremely talented and today have been largely overlooked. While it’s not clear who exactly the director, cinematographer or editor of the film were, there is fortunately somewhat of a paper trail that hints at who worked on the animation, special effects, and music to the film. One particular individual working for Jam Handy in 1940 who certainly worked on the film’s special effects (combining the live action with animation) and possibly on the film’s animation was an extremely talented and notable filmmaker named Frank Goldman, aka Francis Lyle Goldman. Prior to becoming a Jam Handy employee in 1935, Goldman was employed by Audio Productions (a.k.a. Audio-Cinema Inc.) and made a large number of industrial films and sponsored cartoons for the company. Amongst one of these films was an iconic two-reel documentary entitled The Rhapsody In Steel that was made for the Ford Motor Company’s 1933 Chicago World’s Fair exhibit. This twenty minute film, made seven years before A Case of Spring Fever, was a symphonic industrial film (very similar to Jam Handy’s 1936 masterpiece The Master Hands) that contained a phenomenal animation sequence in the final ten minutes of the film which cleverly combined cartoon animation with live action stop motion animation. In 1935, Goldman joined the Jam Handy Organization and interestingly following his arrival there was a dramatic improvement in the quality of the studio’s films. 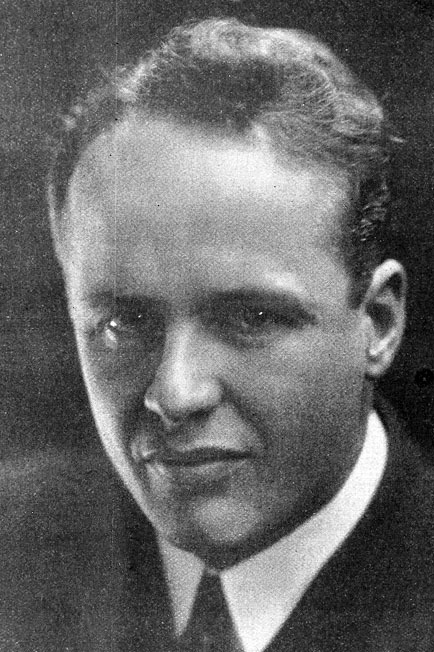 (Coincidentally, It was after his arrival that the studio made the two notable Chevrolet Direct Mass Selling films A Coach For Cinderella (1936/7) and The Master Hands (1936), both of which are literally remakes of Audio/Ford’s The Rhapsody In Steel; While it is not known who directed The Master Hands, Goldman is credited as there director of A Coach For Cinderella). Much of the animation, special effects, and stop motion animation that Goldman created for Jam Handy’s films is very reminisce of several of his Audio industrial films. Coily himself does bear a little bit of a resemblance to Goldman’s characters such as the animated V-8 Man in Ford’s Rhapsody in Steel and even to the Gnomes in JHO’s “A Coach For Cinderella”. If Goldman was not responsible designing and animating Coily the Spring Sprite, the other individual who may have been was Rockwell Barnes. Mr. Barnes began working with Jamison Handy in the early 1920s, creating extremely detailed technical animation for Handy’s films. 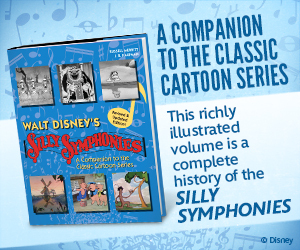 In addition he would also design and animate other one shot cartoon characters who would make an appearance in Handy’s films. One of Barnes’ more notable Direct Mass Selling films that features one of his cartoon creations was the 1935 documentary short Down The Gasoline Trail, that features an animated Gasoline drop traveling through an automobile gas line. 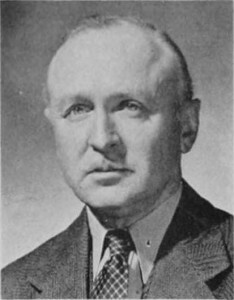 (The film was highlighted in the 1953 obituary for Barnes written by Business Screen Magazine, that praised this film for how it effectively broke down the gasoline combustion system to viewers). Rockwell ‘Rocky’ Barnes, began working for Jamison Handy in the early 1920s. Though the 1935 animated gas drop in Down The Gasoline Trail does not bear much resemblance to 1940’s Coily, it is possible that Coily was still a creation of Mr. Barnes. 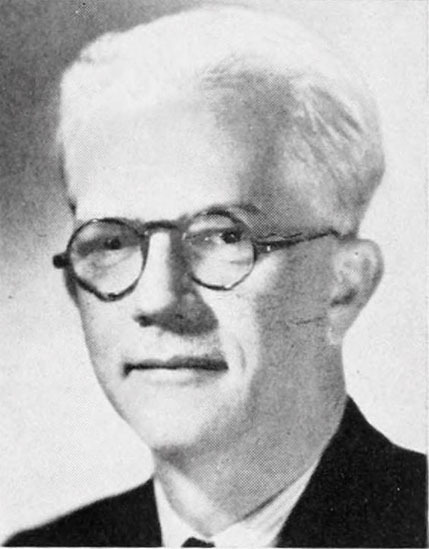 In addition to animation, it is easy to assume who was responsible for the music: Samuel Benavie, who was the musical Director of the Jam Handy Organization. Benavie, one of the great unspoken film composers, was responsible for composing all of Jam Handy’s music consisting of original scores for films and the studio’s stock music cues. Though Benavie did not compose a specific score for A Case Of Spring Fever, he probably did select several of his library recordings consisting of the film’s opening and closing title music, the sad music played while Gilbert is cursed, and his Johann Strauss’ Perpetual Motion recording for Gilbert’s awkward golf game. In terms of how A Case Of Spring Fever went over with viewers in 1940 is a little bit of a mystery. Unfortunately, trade reviews of the film are scarce at the moment so it’s difficult to say how the film was exactly received or reviewed. It’s also impossible to know how it was received by viewers such as the school children who saw the film in assemblies, by the notable locals and business owners who saw it at Rotary club luncheons, or by the movie patrons watching the film waiting for the evening’s main feature attraction to begin. However other entries in the Direct Mass Selling series such as the documentaries, the narratives, and the Technicolor cartoons were frequently praised and spoken highly of by various different trade magazines. From a content perspective, A Case of Spring Fever is similar to many of these positively reviewed films: therefore it is possible that it was enjoyed by the many who saw it. So, hopefully this answers how Coily was a part of “God’s plan for us” and why it was made. Today, the film is available to watch from the courtesy of Rick Prelinger. A Special Thank You to Ray Pointer, Brian Oakes, and Rick Prelinger for information pertaining to this article and related video projects. Coily is completely animated by Jim Tyer!! IMDB claims that Jim Tyer animated on the film, but I don’t know how accurate that is. It looks like his animation from every other studio of the period, and I never saw the imdb entry. He also animated on, and possibly superviser some of the NICKY NOME series. And all the animation in DRAWING ACCOUNT is his. We know that the IMBd is not completely accurate. I have reasons to believe that this is not Jim Tyer’s work since it is far too crude. The Jam Handy Organization had its own animation departments in Detroit, one for Technical and the other for Cartoon Animation. This one was a hybrid of both disciplines. Rockwell “Rocky” Barnes was the department supervisor at that time. I do know for a fact that Tyer animated a share of the Prince and the Step Sisters in A RIDE FOR CINDERELLA. This is identifiable due to Tyer’s broad poses and exaggerated mouth positions for the dialogue as if the characters were shouting. This was part of the Nicky Nome series, which were farmed out for simultaneous and overlapping production. 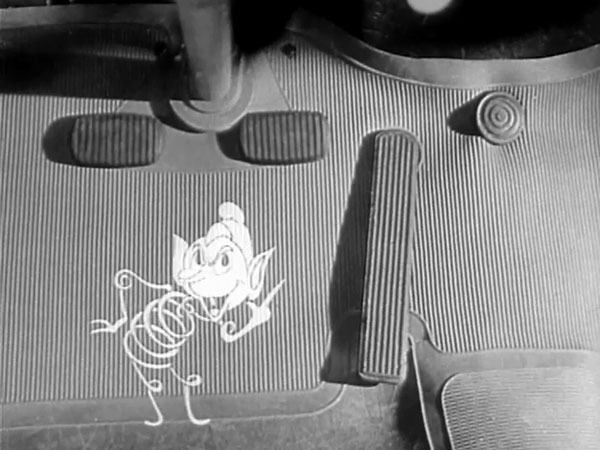 The first, A COACH FOR CINDERELLA was co-directed by Rocky Barnes and Frank Goldman, and produced in the Detroit facility. The others were subcontracted to established theatrical animation studios such as Terrytoons, Bray, and Cartoon Films, Ltd. Does anyone know who supplied the voice of Coily? Mel Blanc, maybe? Well, maybe they had a smaller budget for this project and couldn’t get as much assistant work. To me as well, “Spring Fever” looks to be entirely animated by Jim Tyer, one of the most identifiable character animators of his generation . Compare Grim Natwick’s work at Lantz to his work at Disney: budget really matters when you’re an artist who relies heavily on assistant work. Also, It seems that Tyer had a tendency to tone down his stylistics for the color Handy shorts of the late 30s. I wonder if this was at the request of someone from the Handy organization? This doesn’t seem to be the case with “Spring Fever”. I agree with Milton and Charlie. The animation is Tyer’s in both style and phrasing of the animation. If I’d make a guess as to who voiced Coily, it would be Pinto Clovig. 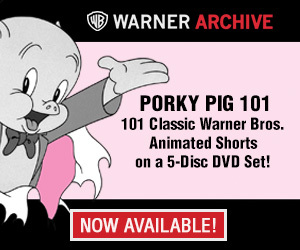 The character sounds like the Third Pig character he voiced in both Walt Disney’s Three Little Pigs and in Tex Avery’s Blitz Wolf. In regards to the uncredited crew members for Jam Handy, writer Mike Maltese had said he worked for the company prior to his stint at Schlesinger’s. Even The Simpsons took a shot at it with their Zinc-less film. From your second paragraph . . I thought maybe a map of the Chevrolet Sudan would be helpful.